ASP hosted Strategies for Teaching based Autism Research seminar was held in Autism society Philippines National Headquarters last June 25, 2016. There were 42 participants who were teachers and parents. Ms. Maria Theresa Aficial a.k.a. Teacher Tess presented demos, Q & A’s and talks of strategies for parents and teachers to be able to learn about languages. She also showed objectives and 3 levels of STAR Program for people with special needs who have difficulty understanding in commandments. 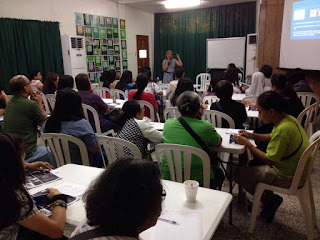 Teacher Tess showed an example of a physical prompt by letting one of the participants sit in front of people using those materials 2 plastic cups, a chart of I’m Working For coins, purse, marker, lollipop and a dish. Teacher Tess let people see the STAR Program guide of students’ lessons for them to be taught as routins. She divided groups into 6 and distributed 3 small boards of “I’m Working For” with pennies and dimes and photos of animals. Then participants discussed briefly about how they worked and wrote on a daily data sheet as their tasks. One of them also put pennies and dimes in each board about them practicing especially for motor skills. After the discussion, one of the heads in each group shared on how they taught their children / students as correcting behaviors for them to be more skillful. They mentioned about how they experience educating special children and learned after Teacher Tess answered their comments. 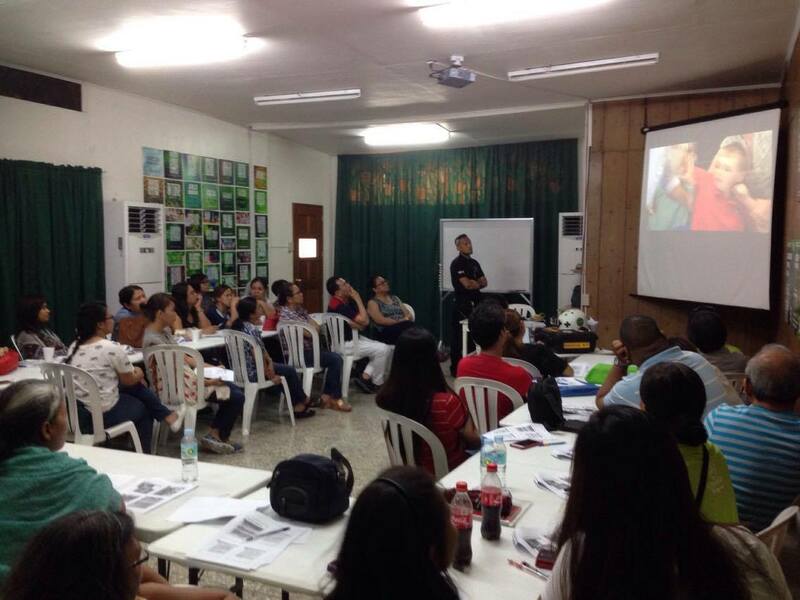 ASP hosted Crisis Management persented by Mr. Mark Padil and welcomed 38 participants. The seminar was held in Autism Society Philippines National Headquarters last June 25, 2016. They were teachers and parents who attended. Mr. Mark took out safety and first aid kits and put them in a table for participants to see what he used. He presented the table of contents of how to prepare for safety precautions in case of earthquake, fire, floods and other dangerous situations. He even mentioned about how to rescue people with autism to teach parents on how to handle them safely. Mr. Mark showed a step on saving people from disasters. He also showed videos in front of participants on how children with autism reacted after being rescued. The mat was seen as Mr. Mark folded to show the safety cross and an arrow. The rules on how to be safe, planning to do and other needs of people to be survived were shown such as in case of a flood, fire, earthquake and active shooter so they would not panic if something happened in buildings and roads as well as to defend themselves. The slides were also shown about prevention, encounters, Tips for EMS and Your indentification is your Safety to be alert on saving people / children with autism especially non verbal. Mr. Mark presented Emergency Comm-Board as he gave examples of kinds of deseases and illness. He let one of the participants lie down on the floor to let people see on how to hold a person who has a risk of restraint.